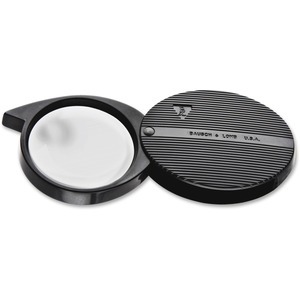 Single-lens pocket magnifier features an optical quality, glass lens with 4X power magnification. Durable, plastic swing-away case provides a protective cover for the lens and serves as a convenient handle. Magnifier is excellent for hobbies and crafts, such as model building, coin collecting, stamp collecting, sewing and more.